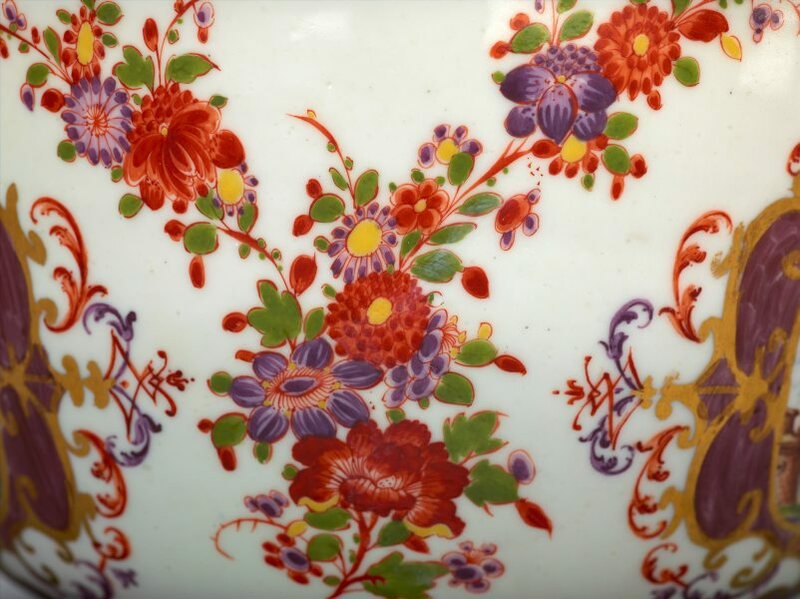 The scrollwork borders (of a type known as Laub- und Bandelwerk) contain panels of purple ‘Böttger lustre’. 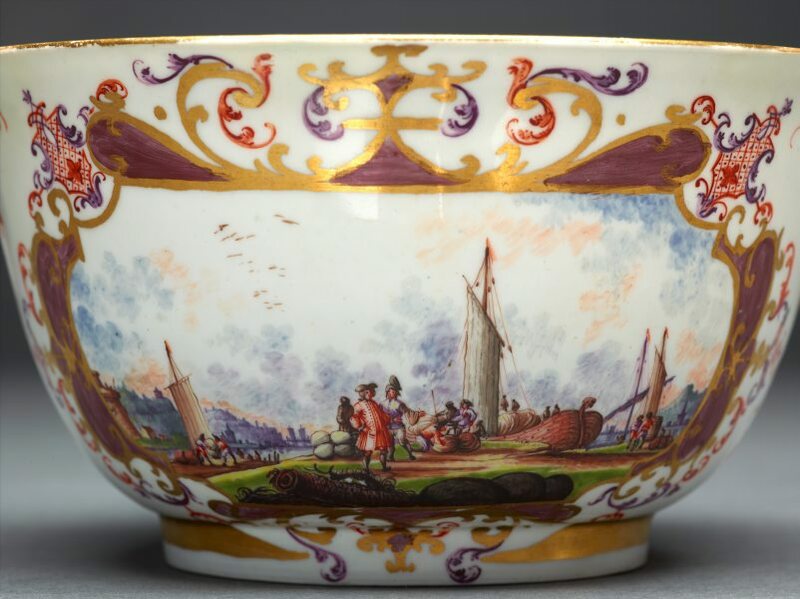 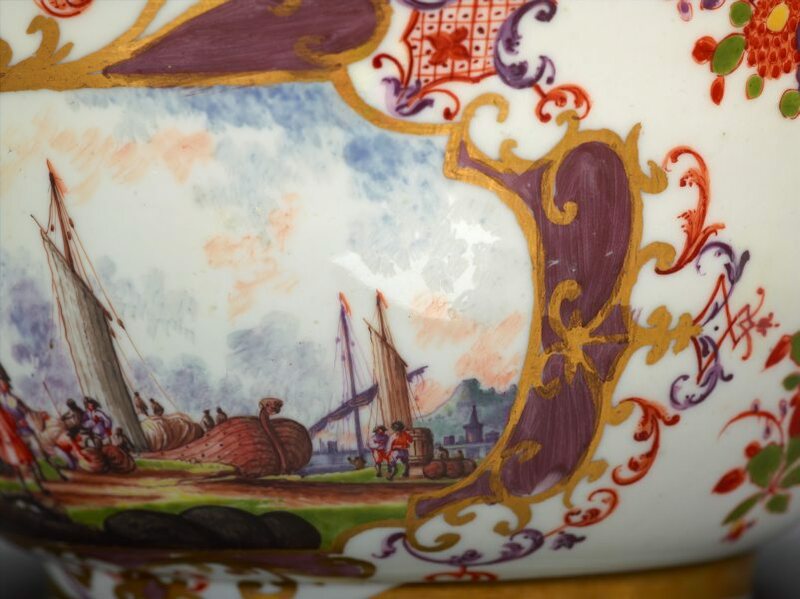 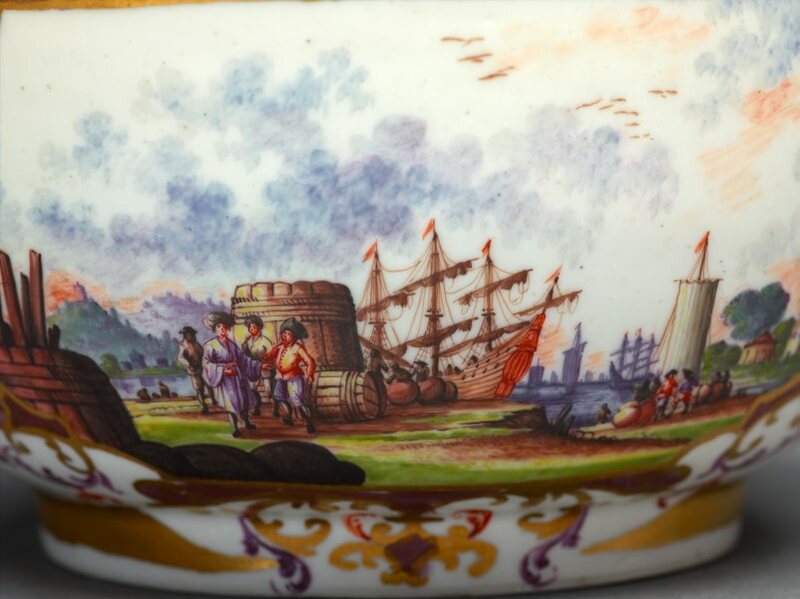 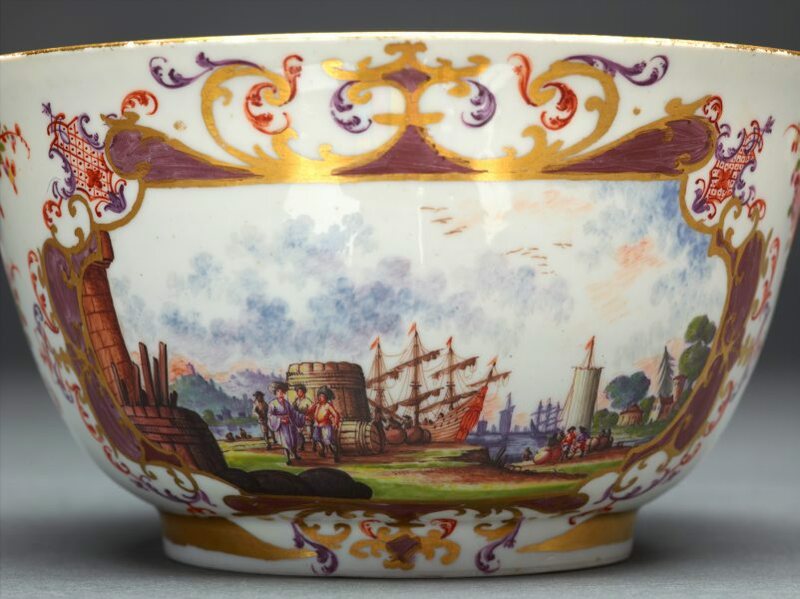 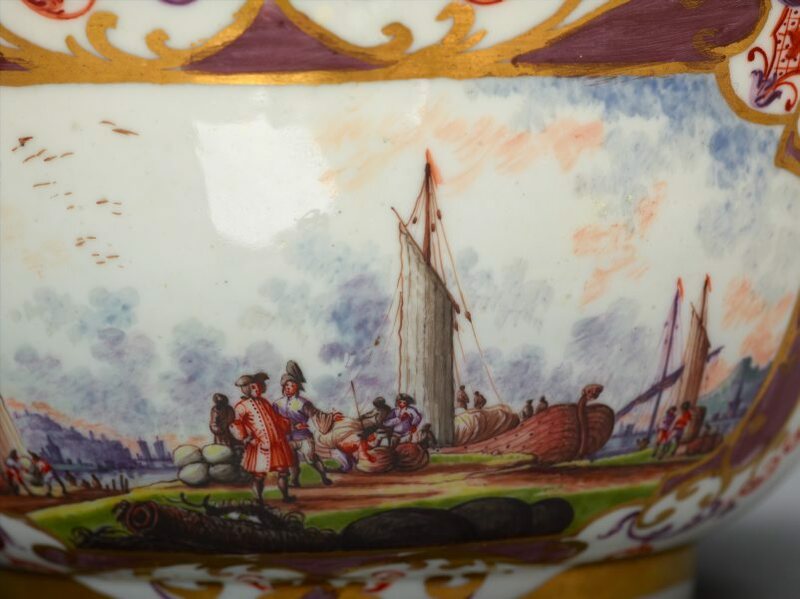 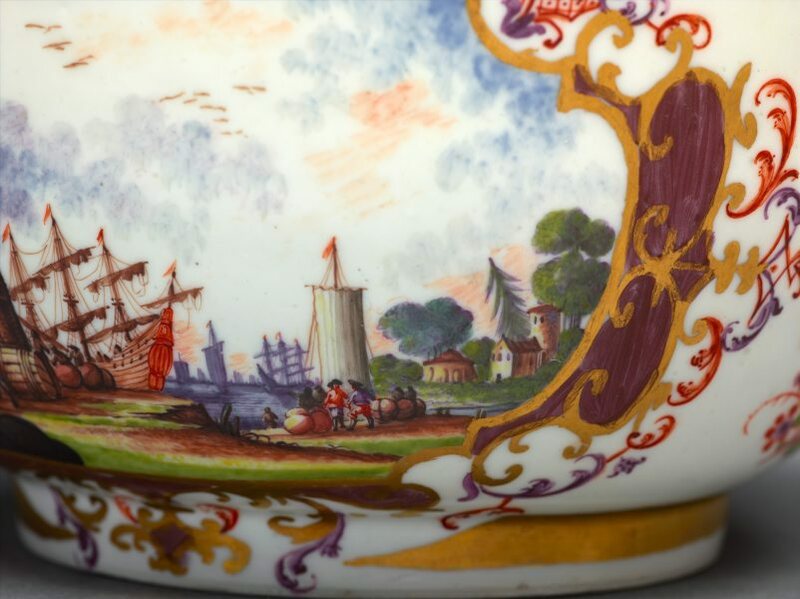 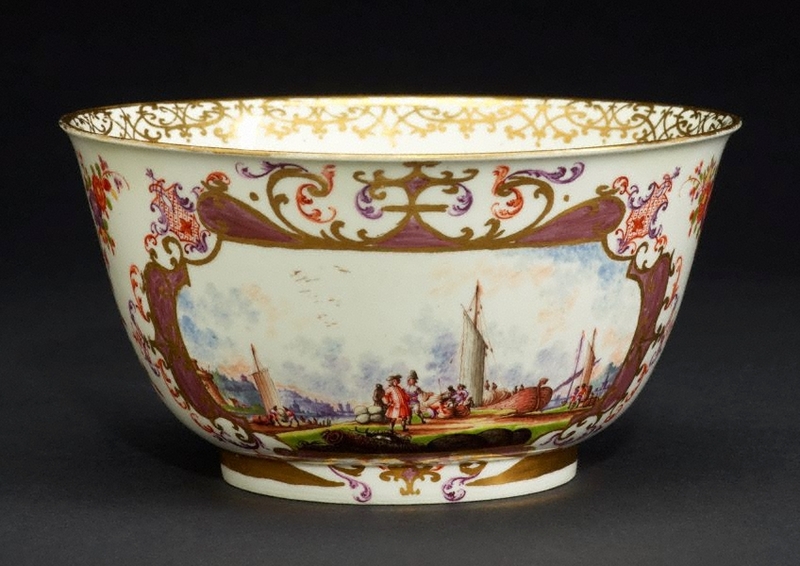 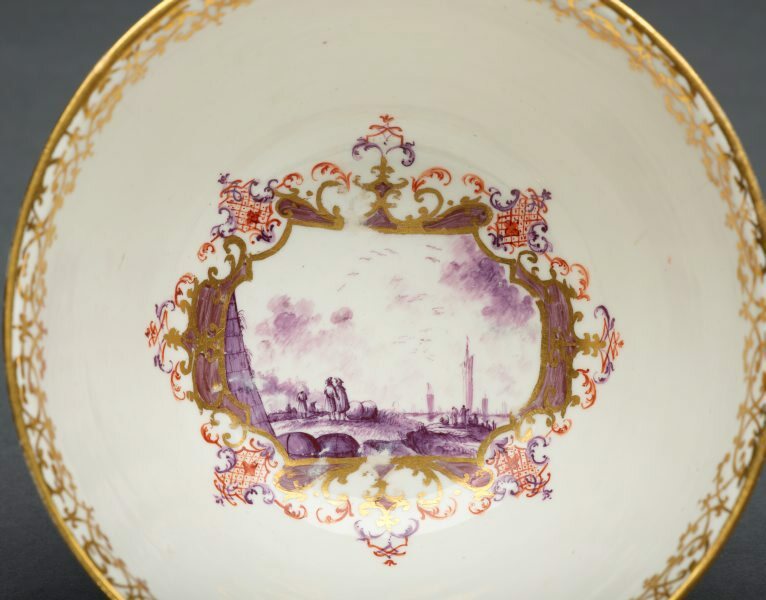 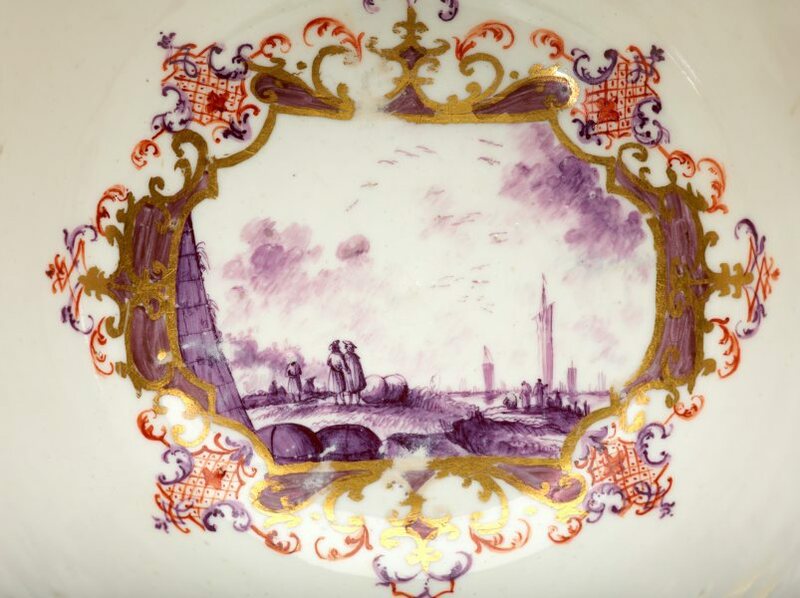 The coastal trading scenes are in a style associated with Christian Friedrich Herold, a painter who joined the Meissen workforce in 1725. 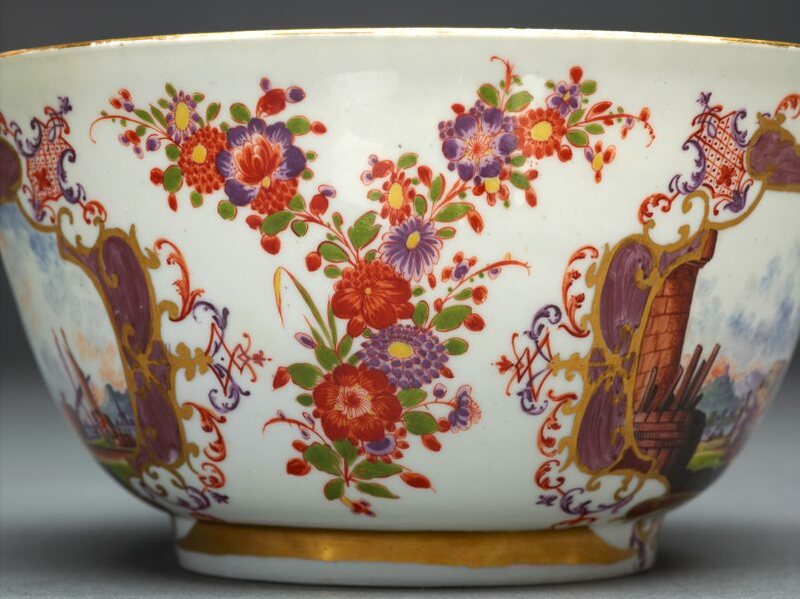 On the sides are sprays of oriental flowers (Indianische Blumen) which, though still highly stylised, are of a leafy luxuriance which suggests the emergence of a more European sensibility.